Born and grown up in Hamburg, Germany horses have been my passion from childhood on. When I was 6 years old my biggest wish came true and my “riding-career” began. 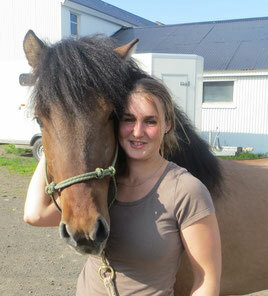 I started on the German riding pony but after a year I discovered the Icelandic horses. There was no going back after that. At the Helenenhof in North-Germany I spent most of my teenage years and was lucky to learn a lot and get an insight on stable management, teaching and horse training. After finishing my high school education in 2006 I decided to make my passion to my profession. I have a professional education in managing a breeding and pension stable, which I achieved on the Islandpferdehof Vindhólar under the guidance of Einar Hermannsson. After that very educational time I went for 2,5 month to get to know the origin country of the Icelandic horse, Iceland. There I worked at the Bakkakot breeding farm for Guðmundur Baldvinsson with my focus on training all different types of horses. After a seemingly far to short time I went to work in the north of Germany for a year at Islandpferdegestüt Eichenhof. I had a great time working and accumulate experience on such a accommodation. But the island was calling. In summer of 2009 I got a tempting offer to work in Iceland again. So I moved for indefinite time to Iceland. I worked again at Bakkakot, than for a great year full of experiences with Jón Páll Sveinsson at Hjarðartúni, a training stable and breeding farm. But ambition got hold on me and the next 3 years I spent at Hólar University. 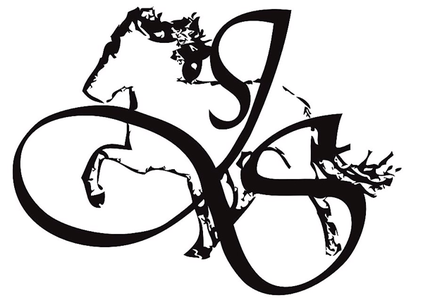 Since May 2014 I am a proud member of the Icelandic trainer association (Félag tamningarmanna FT) and I graduated with a Bachelor degree in Equestrian Studies and Riding Instructions (BS í reiðmennsku og reiðkennslu) from Hólar University. Between my semesters I worked among others for Jakob Svavar (Kobbi) Sigurðsson at Steinsholt. Since May 2014 I am working at Litli-Garður for Stefán Birgir Stefánsson, and I’m looking forward to my time here.